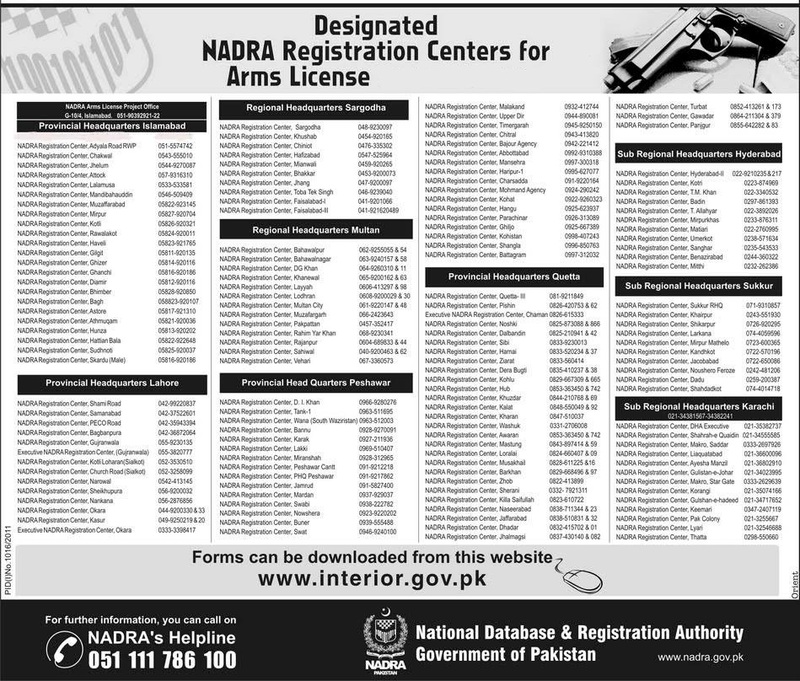 Here we are going to provide you complete Arm License Registration process for getting Arm Licence in Pakistan along with necessary documentation as well.if you want to keep arm for your security within legal boundaries then follow the instructions being given on this page regarding Arm License Registration.For Arm License Registration procedure you have to to visit NADRA Office or facilitation center specified for the respective service.Complete procedure for with guidelines and Designated Registration centers under ministry of interior for all provinces to obtain arm licences have been dispatched on this page accordingly. In this post we have explained easy procedure to tell you that how we can get computerized arm license given below. Income Tax Payers ought to be a copy of NTN along with the application. Master degree holders would give a copy of their degree with their application forms. Submit the forms in Arms Licensing Issuing Branch in the D.C. Office. Write a letter to the secretary of interior requesting him to approve your request for grant of an arms licence. If approval is given, you will be issued with a demand note by the ministry. After the issuance of demand note, you have only 6 months to complete the rest of the stages. Deposit fee amounting Rs. 5000 chalan with NPB. Buy a gun from a licence holder gun dealer. Get him to put the weapon number on your demand note with his stamp. Go to the concerned DCO with the demand note to get his endorsement and stamp. For Islamabad, this is the DC Islamabad and here you also have to register the weapon with the arms branch in the Katcheri before the DC will sign. Fill out the licence application form. Attach 2 photographs, copy of ID card, original challan form and original demand note. Submit the application at the ministry of interior’s arms branch. Now wait for 4-8 months for them to issue you with a card. Application forms for providing Arm License Registration are available with section officer, Islamabad and at region level at all the offices of the region Coordination Officers. Endorsement of Forms Applications provided to section officer would be sent to Secretary Interior Division for last approval. After the approval, weapons would be issued on demand note and license would be given by the section officer after the license fee of Rs.2000/- with the National Bank of Pakistan. Government of Punjab is working for the provision of computerized Arm License Registration for the citizens of Province with the participation of NADRA i this regard to make the safest record of arms in order to maintain the law and order situation through out the province. Increase in number of cartridges 10/- for each bullet. 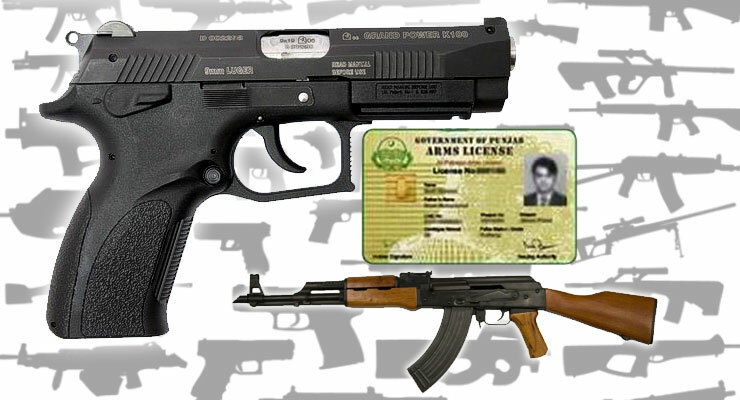 For Getting More Information regarding Arm License Registration & uplifting the ban from arm license registration as 30 Bore Pistol and other weapons from Punjab as well as from other Provinces such as KPK,Sindh,Baluchistan stay in touch with us.